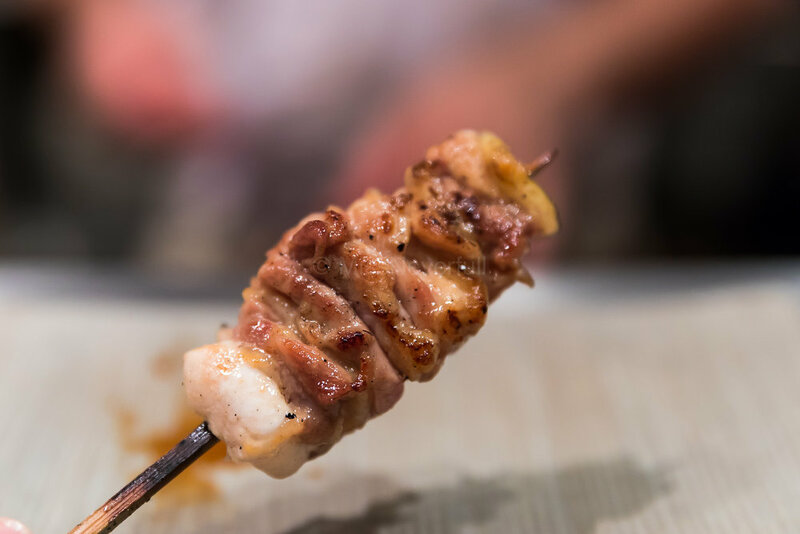 With a white fan tucked behind his back for fanning his binchotan to the optimal temperature, hands rotating the skewers like a meticulously choreographed dance ... this is THE art form of the most skilled yakitori Shokunin in the world - Yoshiteru Ikegawa of Torishiki in Meguro, Tokyo. 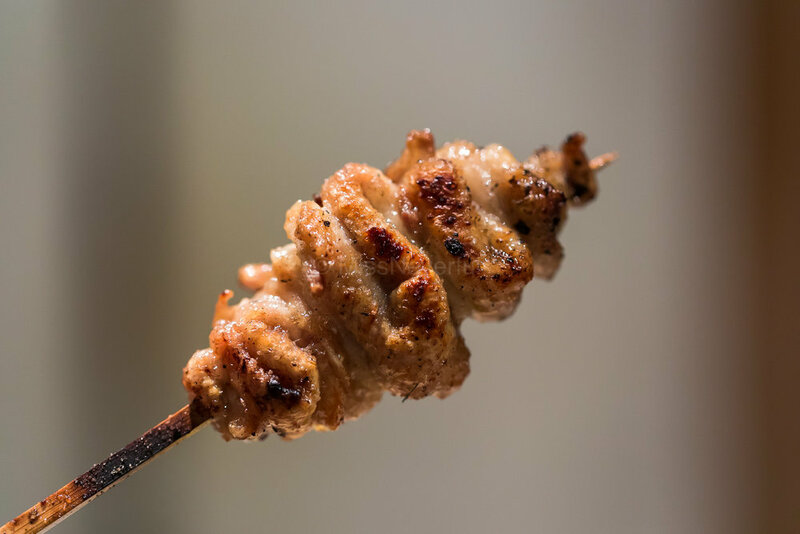 At the tender age when most teens spend their time reading manga, Ikegawa-san had a different obsession: the art of yakitori - how skewers gracefully dance over flaming fire. It was then, he vowed to become a yakitori master. 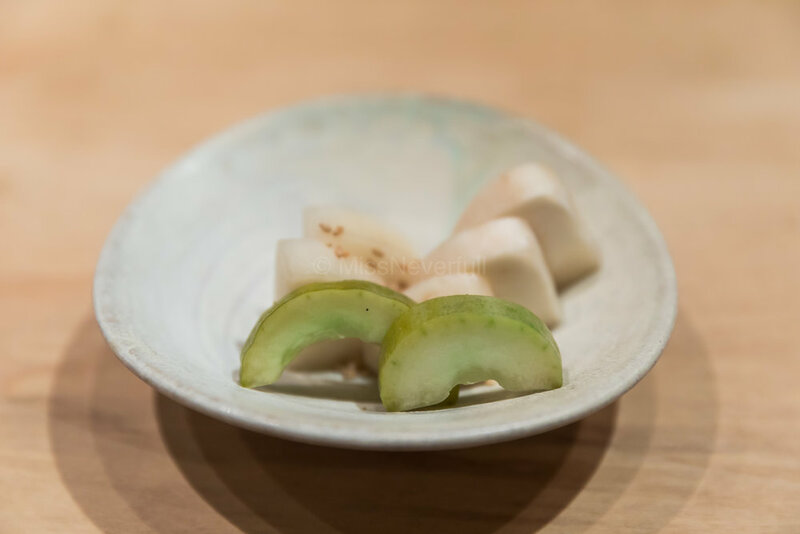 He spent 7 years honing his skills at Toriyoshi (鳥よし) prior to opening his own shop here in Meguro in 2007. His dedication to his craft and art form elevated him above all others in the field and Michelin 1 star doesn't even do him justice. He starts his day tirelessly preparing 200+ chicken from his exclusive farm in northern Japan. 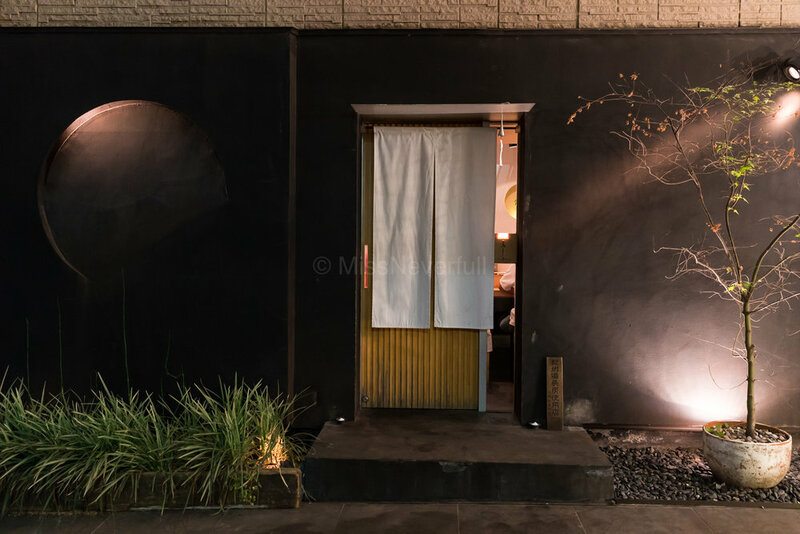 The door opens at 6 pm to hungry guests from all over the world who want a glimpse of his art and a taste of his magical skewers. With great care and pride his hands move endlessly for the next 6-7 hours to perfect every single skewer. 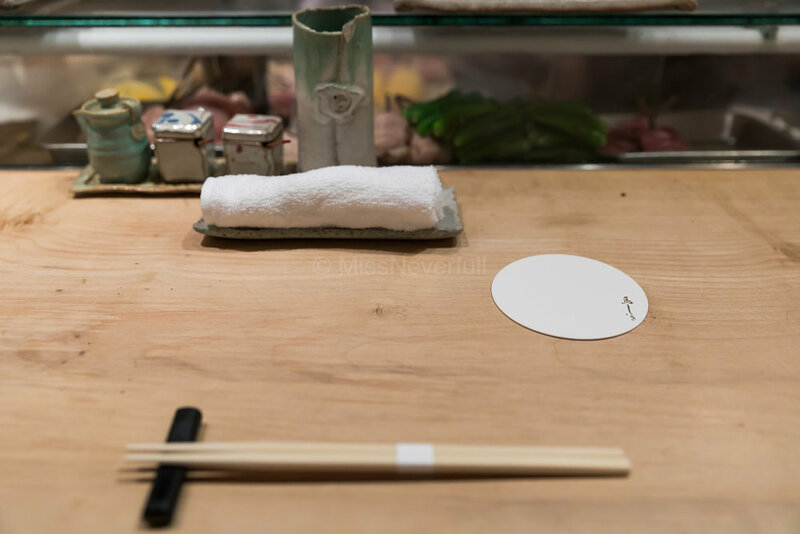 After ending the dinner service and watching the last satisfied customer leave his shop he then starts his post-work exercise to make sure his arms, hands and fingers are in prime shape for the next day. That is the dedication of a Shokunin (Traditional Artisan) to his craft and love. My dinner at Torishiki lasted for more than 4 hours which is one of the longest meal i have had in Japan. 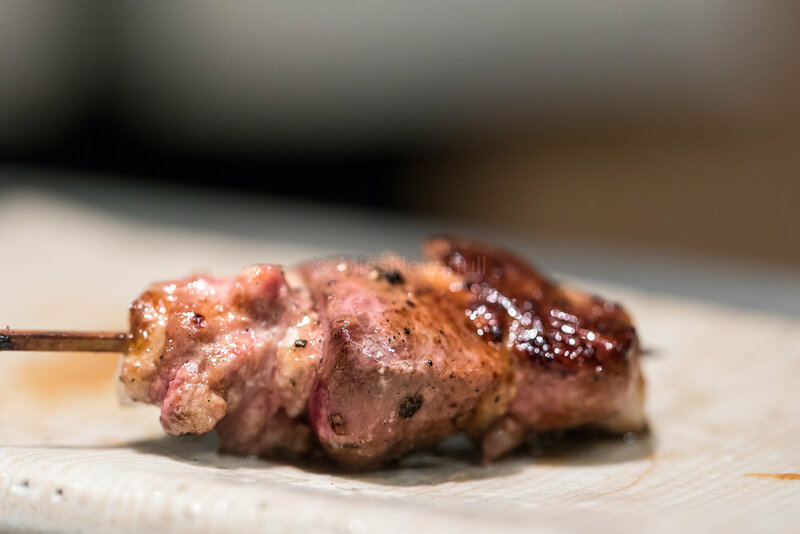 Chef Yoshiteru Ikegawa nails every single skewer by himself, despite the long waiting time before each skewer to be served, the fabulous tastes illustrate that all the delicacies are worth waiting for. 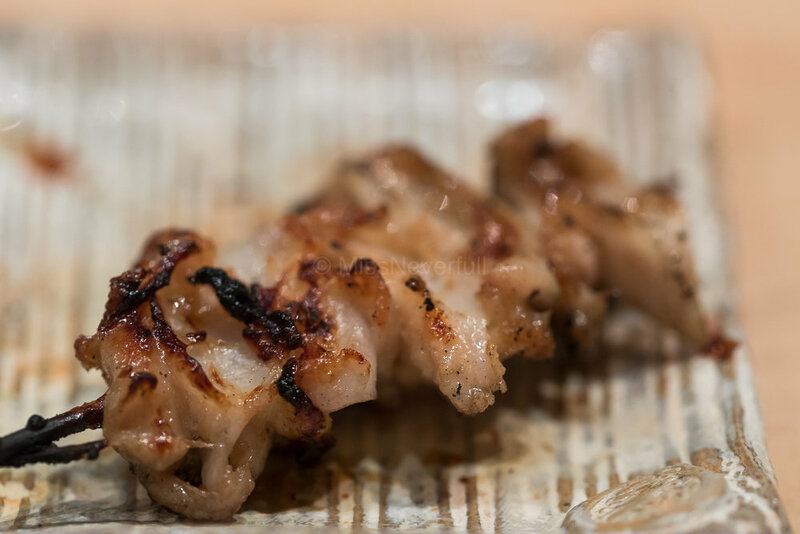 It was the best yakitori i have ever had and i hope to revisit it some time soon.